The Festival of Independence will take place on TWO stages in the Seaport District - one on Fulton Street and the second on Peck Slip. 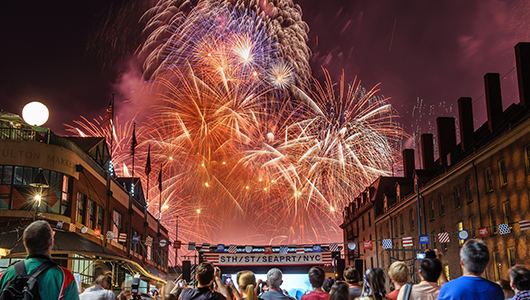 Join us as we celebrate the 4th of July with a full day of live music, great food and drinks, fun shopping, and of course, a night of fireworks! 9:20pm Macy's 4th of July Fireworks Presents "Brave"